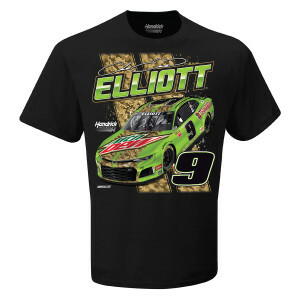 Support your favorite driver with the Chase Elliott #9 Mountain Dew T-Shirt! Chase will be running this sweet ride during The Clash at Daytona on Sunday, February 10, 2019. Features driver name, number, and car graphics.